Click the button below to add the Thicker Hair Conditioner to your wish list. We suggest that you follow the use of our thicker hair shampoo with this conditioner as needed. The thickening properties Hydrolyzed Jojoba Protein and Vitamin B5 revitalize for fuller looking hair. 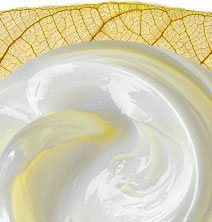 Gently moisturizes as it strengthens and repairs weak, damaged hair. Our Thicker Hair Conditioner is made with pure, lightweight plant moisturizers that aim to maintain a healthier scalp for thicker, healthier-looking hair. Avocado deeply nourishes your hair while Jojoba and Carrot seed helps repair breakage. Fortified with nutritive goodness, your hair appears healthier and full bodied. Leaves hair soft, silky and with a fuller-looking appearance that shines with lushness. This thicker hair conditioner adds great volume. It makes my hair feel and look thicker. I noticed strengthening and thickening in about a week. This does not weigh down your hair either. It smells really good too. Provides hair with rich conditioning care and manageability. Hair is left smooth and soft with a healthy shine. Does not weigh hair down, giving strands extra bounce and more volume. Made Macadamia, Grapeseed, Clary Sage, Chamomile and more that deliver goodness down to your scalp. I love this stuff. I have very fine and thin hair and this really does make it much thicker. I got the shampoo for thick hair, too. I figured that it makes sense to follow with the conditioner. My hair is almost twice as thick now. I'm very pleased about how my hair looks and feels using this conditioner. Leaves my hair with nice shine and lots of bounce. I like this conditioner for thick hair because of its ingredients. I want to change to products that are clean and fresher. This is the only line I've tried that feels and looks like it thickened your hair. It does what it says! It thickens my thin hair. Very pleased! Color safe formula keeps hair color longer with our chloride free and sulfate free conditioner for thicker hair. It is gentle enough for daily use. Keratin straightening treatments maintenance, perms, colors, and other hair treatments maintained and protected. Hair shine is more vibrant, helps to detangle, controls frizz, strengthens hair, and helps prevent damage. Made without sulfates, alcohol, and artificial fragrances and colors. Leaves fine, flat, lifeless hair plumped up and full bodied. The proteins will help fill in damaged areas in cuticles helping to prevent future breakage and add to the size of hair strands for a thicker appearance. Loaded with Vitamins B and E, minerals, antioxidants, as well as omega 3 and 6 fatty acids Macadamia Nut oil is lightweight and easily absorbed without weighing hair down. Coconut oil is light and easily absorbed, rich in vitamins A, B, C, and E, nourishes and protects your hair while adding hydration. 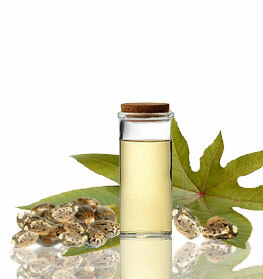 Castor oil is reported to contain anti-inflammatory properties, which can be related to healthy hair growth. The plant is also known as Palma Christi for its medicinal properties. To help promote thicker-fuller looking hair, Panthenol Vitamin B5 helps prevent damage, adds body, strength, softness, radiance, and flexibility to hair. Apply an adequate of conditioner for thicker hair from themid-shaft to ends first, like you're making a ponytail on wet, shampooed hair. Run a wide-tooth comb from roots to ends to de-tangle the hair. This method is the safest way to de-tangle hairwithout causing breakage. • You can use this conditioner as a co-wash. We suggest co-washing about one to twice a week or depending on your schedule. • Make this product into a pre poo. You can mix this conditioner with your favorite oils and apply it to your hair prior to shampooing. • Do not brush wet hair. This can cause breakage to the hair. I love how this left my hair. Tangle-free, straight and full even after one wash. I use five pumps for my whole hair. I have fine thin hair just below my shoulders. Works great with the shampoo. I would definitely order again. I love this shampoo and conditioner! I am more than satisfied with how my hair looks and feels! It is so shiny and full. It does not weigh my hair down like a lot of products do. This has a spicy mint scent to it, which I like. The lather is soft and you can feel the difference in the product the minute it lathers up on the scalp. I noticed that my hair wasn't just thicker after use but also much softer and way more manageable, which for naturally Hawaiian hair, that's saying something. Best conditioner i've come across, and i've tried A LOT of high end conditioners. Leaves my hair smelling fresh and feeling so soft, and I have very damaged hair. It just feels healthier. Great products and service, I have been ordering from this company for YEARS! My hair has never been healthier, shiny and in better shape. I noticed such a huge difference in my hair after using their products. As a middle aged person, it is even more important what you put on your hair and this line is one of the very select few I will use. All organic, natural and excellent products. I will never be without them! This is the best conditioner I have ever used. I use to use Avada and I like this more. My hair has never looked so good and I do not need a lot to get great results. I get lots of compliments and no more frizzy or dry ends. My stylist has even asked what I use! I have been using this product for over a year now and wouldn't use anything else. I love it! smells great and works, I do not need as much as I did when using other shampoos so this bottle last me at least 2 months or more and I have a lot of hair that is past my shoulders. I use the conditioner along with the Thicker Hair shampoo. It is a great combo! My hair texture has changed drastically since I first started using the products....it's only been a few months! The conditioner works well I have noticed a change in my hair. I have been using this product for a couple years now and really feel like it adds body to my fine hair. I like that it doesn’t smell really strong. As I have perfume allergies and hate the sickly sweet artificial fragrance put into almost all commercial products. My only complaint is that occasionally the quality controls are lacking. I’ve received a bottle here and there that is thin and smells odd but the customer service was great. They exchanged the bottles immediately! Definitely notice a difference after my first use. Hair did feel thicker.. I love this conditioner, my hair is always full, bouncy, and never does it feel built up or weighed down! Makes me want to throw my hair around, all natural, swingy, full of bounce! Love it!